Accommodates desk height to counter height activities. Oversized tractor shaped seat with durable polyurethane foam construction. Optional Backrest sold and shipped separately. 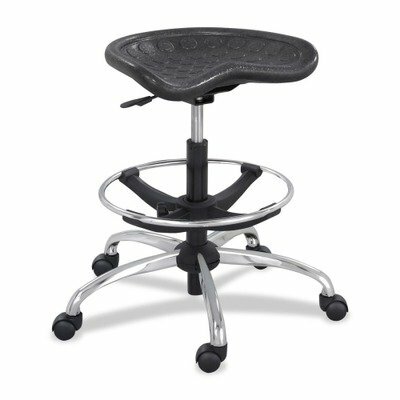 Recommended Applications: Drafting, Warehouse amp;amp; IndustrialStools Seat/Back Color: Black Arms Included: No Pneumatic Seat Height Adjustment: Yes.